Not until recently had Port Elizabeth student Ayabulela Mahamba, 21, set foot outside the Eastern Cape, but a chance trip of a lifetime to a global energy summit in Mexico has seen her rub shoulders with global influencers such as former lord mayor of London Fiona Woolf and former UN secretary-general Ban Ki-moon. Now the fate of the Aliwal North youth activist and third-year NMMU B.Com accounting student could take another turn, after being encouraged by Woolf to consider scholarship opportunities in humanitarian and development studies in the UK. “It was exhilarating. 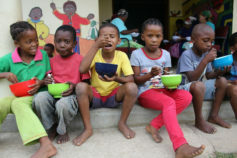 It was my first overseas trip – and my first time out of the Eastern Cape actually!” said Mahamba, who first showed her leadership potential as head girl of Southernwood Primary in East London. 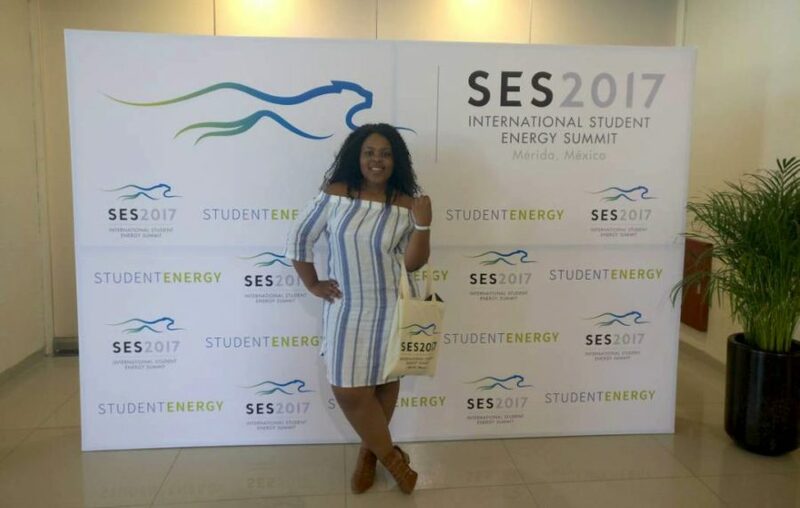 Her journey started with a serendipitous encounter with Kouga Wind Farm, which sponsored her trip to the International Student Energy Summit earlier this month. 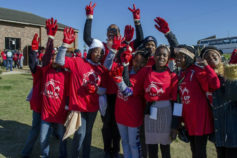 Mahamba had initially put out feelers to various energy organisations for funding her Aliwal North-based NGO for childhood development, the Mighty Walkers Foundation. Instead of funding, her online profile scored her an unexpected invitation from summit organisers and the wind farm made the trip possible. Mahamba was just one of three South Africans to attend. 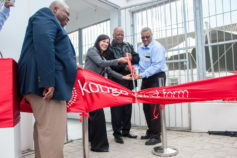 Kouga Wind Farm community liaison officer Trevor Arosi said Mahamba had impressed them with the maturity of her vision. “What stood out for us was her sense of community responsibility and the fact that she started her own non-governmental organisation as a teenager, which is why we invested in her,” he said, adding that Mahamba is one of hundreds of local community members to have benefited from more than R6.5-million worth of education and skills development projects funded by the Oyster Bay wind farm since its inception in 2015. 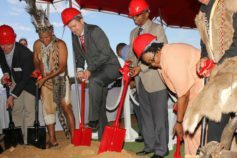 These include training for bird and bat monitors, electrical apprentices and community caregivers as well as setting up a solar-powered computer lab for an Oyster Bay primary school and rebuilding a Humansdorp crèche that had burned down. 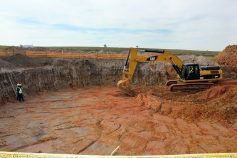 Arosi said the wind farm was determined to support local youth in playing a role in the sustainable energy generation space and being developmental champions in their communities. The summit had been life changing, said Mahamba. Born in Mthatha and raised in East London, Mahamba spent her high school years in Aliwal North, where she grew concerned about the large numbers of orphaned children – some as young as six years old – who were left to wander the streets. With her surname literally meaning “on the move”, Mahamba launched her aptly named and self-funded foundation in 2014, after saving her pocket money for two years to achieve her vision. “Mighty Walkers aims to get these children, who are often very smart and talented, off the streets. Basically, we mentor them, try to find them schools, get them uniforms – anything that will get them into school and keep them there,” she said. The NGO also teaches the youth about the conservation and sustainable use of natural resources, such as energy and water, through observing initiatives like Earth Hour and Water Week. “Our aim is to instil this mindset from a young age by teaching children that they need to think of future generations and be wise when it comes to the sustainable use of resources. I think if that is instilled while you’re still young, it becomes part of you, and a positive change might actually happen,” said Mahamba. She said the Mexico summit had crystallised her vision and made her more determined to further her education in the fields of humanitarian or development studies. In addition, Mahamba said women were still severely underrepresented in energy leadership worldwide and she plans to devote her own immediate efforts to a series of talks advocating for gender equality when it comes to the role of female leaders in South Africa. WATCH: Ayabulela’s interview on SABC here.